Roxy Rose’s intricate neon pieces undoubtedly push the medium’s boundaries. 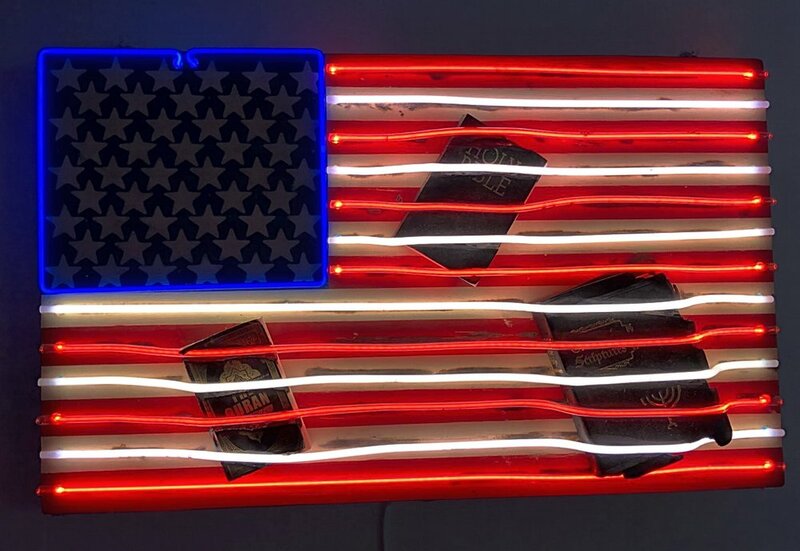 With each bold creation, Roxy not only clearly and effectively dashes the association of neon with sign-making, but also strikes viewers with poignant commentary on our time. Her astonishing Let love be, a large glass structure featuring hearts, facial profiles, script, arrows, an array of colors, all set upon a rotating, pastel-striped pedestal, is nothing short of breath-taking. Its message is clear, and it’s one of several Roxy was determined to get across with her participation in SHE BENDS: Women in Neon (SF Edition). For Roxy, Let love be is a message about being transgender, while also demonstrating her skill and creativity as a fabricator. Roxy Rose comes from a long, well-known line of neon fabricators. Her grandfather established Alert Lite Neon in 1946, and following generations immediately went into the trade, carrying and expanding the legacy. Roxy Rose did the same, dropping out of school at age 15 to dedicate herself to mastering bending and supporting the family business. She made a name for herself and carried Alert Lite Neon through several successful years before handing ownership over to her daughter. Roxy was well-known and respected in the industry, that is until she transitioned about 10 years ago, and then everything changed. Compositions that require technical mastery and are over-the-top, show-stoppers are Roxy’s bread and butter. Following the callous dismissal from the industry, Roxy became determined to prove she was still a relevant figure in the industry who would not be cut out. Her hard work has paid off, in the last two years, Roxy has seen a steady rise of interest in herself and her work. She has found acceptance among younger generations who view her as someone to be admired, and as someone they can learn from. 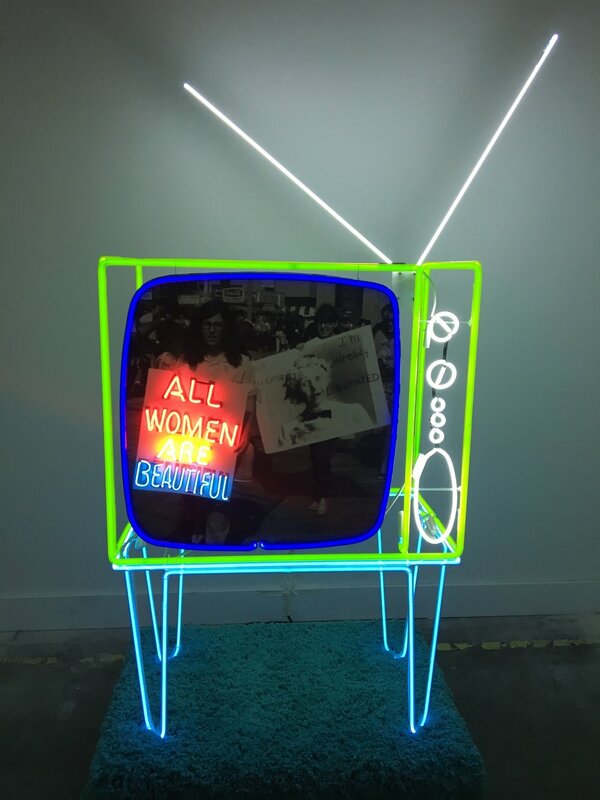 A selection of Roxy Rose’s work is currently on view at The Midway Gallery as part of SHE BENDS: Women in Neon. Roxy will also be a panelist in our upcoming event, “Neon Symposium: History, Process & Future” on May 31st from 7pm to 9pm at the Midway Gallery.